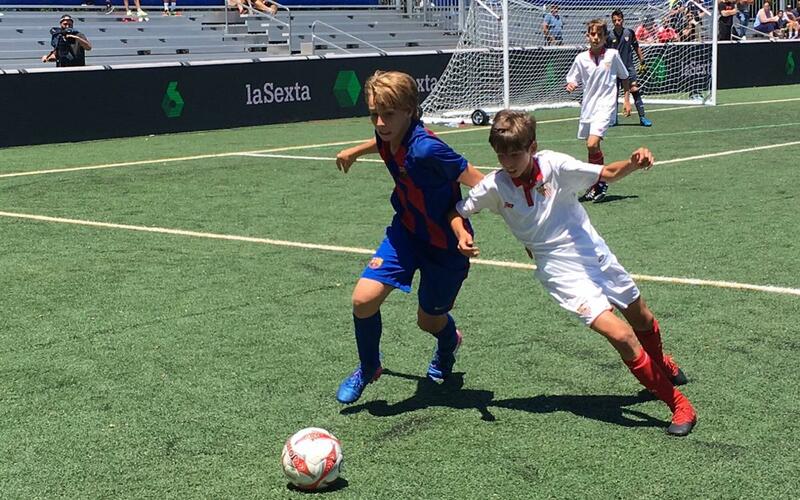 The Barça U12 team is through to Sunday’s semi-finals of the LaLiga Promises International competition, where they will play València (10.00pm CET) for a place in the grand final. Real Madrid and Villarreal will meet in the other semi. Supported all the way by children from the Barça Academy NY, the day started with the Catalans winning 1-0 (yet again!) against Benfica in the final game of the group stage. Iker Bravo scored the only goal of the game in the very first minute – the fastest goal of the tournament. Into the quart finals and Barça met Sevilla, and it was another 1-0 win for the blaugrana, the only goal coming from a wonderful team play in the purest Barça DNA spirit and culminated by Iker Bravo to send the blaugrana into the final four of the prestigious competition.